If you’re like me and tote around a few kids when you go out to eat, there’s nothing better than paying NOTHING for their meals. 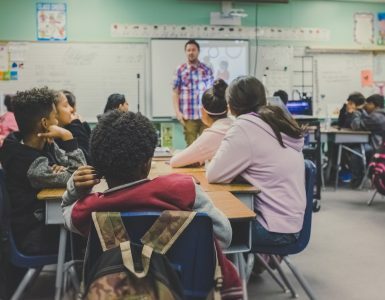 Hundreds of restaurant chains will comp your child’s meal, usually as long as long as you purchase a meal yourself and come on the right day of the week. Some even comp your meal if you join their e-mail list or download one of their apps! With SO many kids eat free offers out there, I broke down the chains that allow your kiddos to eat for free and even broke it down by the day of the week. To make it easy, I tried to only include restaurant chains that have more than 10-25+ locations. Before we get started, do keep in mind that these deals change all the time and cannot be guaranteed. Be sure to read the fine print to know what needs to be done to qualify and what times you can come in to redeem the offer. For most offers, you will often have to purchase an entree and will need to come in during dinner hours, generally from 4 to 10 p.m., for example. I will do my best to keep this list active, but if you do see any changes and/or want to add a freebie offer, do let me know via the comments or through our contact form. ALWAYS call ahead of time to confirm!!! Which day of the week do you want to eat? Arooga’s Sports Bar: According to the company’s official Twitter and Facebook page, kids eat free every Monday with an adult entree purchase. Big Boy: Every Monday, children younger than 12 can eat for free. Available at participating locations and an adult purchase of at least $6.98 or more is required. Buffalo Wings and Rings: According to the company’s promotional page in the past, kids eat free on Monday. Cody’s Original Roadhouse: Kids always eat free on Monday and Tuesday at Cody’s. Cowboy Chicken: Kids eat free every Monday with every adult entree purchase. FATZ Southern Kitchen: Kids eat free on Mondays from three to close. Huddle House: Children eat free every Monday and Tuesday for every adult entree purchased. Planet Sub: One free sub for every sub purchase. Valid for kids 12 and under. Jim’s Restaurants: From 5 until 9 p.m., all children under 10 can eat for free with a purchase of an adult entree and drink. Participating locations only. Joe’s Crab Shack: According to the company’s social media page, kids eat free every Monday. Modern Market: Every Sunday AND Monday night, kids can eat free from 5 p.m. to close. Adult meal purchase required and is available to kids under 12 only. Rock Bottom Cafe: Every Monday AND Tuesday, kids younger than 12 can eat free. Woody’s BBQ: From 3 p.m. until close, all children younger than 10 can eat for free at Woody’s. Name-Brand Restaurant Gift Cards for a Discount! Buy a discounted restaurant gift card and save more than 20% in some cases. Fast delivery and 1-year money back guarantee. Atlanta Bread: From 4 p.m. until close, you can get one free kids meal for every adult entree purchased. Backyard Burgers: Children under 12 can eat for free after 4 p.m. with every adult entree purchase. Beef O’Bradys: Every Tuesday, from 5 p.m. to 7 p.m., children can eat free with a purchase of an adult entree. Black Bear Diner: Every Tuesday, kids eat free with an adult entree purchase. Black Eyed Pea – From 5 p.m. until close, children younger than 12 can eat for free with an adult purchase. Bob Evans: Kids eat free after 4 p.m. with every adult entree purchase. Carolina Ale House: Kids eat free every Tuesday with an adult entree purchase. Carrows Restaurants: Kids eat free every Tuesday from 11 a.m. until 10 p.m. as long as one regular priced adult entree is purchased. Valid for children younger than 10 and cannot be combined with any other promotion. Cheeseburger in Paradise: Every Tuesday, kids eat free with every adult entree purchase. Chompie’s: Kids under 10 eat free every Tuesday at Chompie’s, Arizona’s New York deli. Denny’s: Varies by location, but most Denny’s do offer free kids meals from 4 p.m. until 10 p.m. Do call ahead of time if considering. Famous Dave’s: Kids eat free on Tuesday, but this greatly varies on the current promotion. Call ahead to confirm. Freebirds: Kids eat for free every Tuesday with an adult entree purchase. Genghis Grill: Kids eat for free every Tuesday with an adult entree purchase. Green Mill: Every Tuesday, children 12 and under can eat for free with a paid adult entree. Hurricane Wings: Kids under 10 can eat for free with the purchase of an adult entree. Kneaders Bakery: From 3 p.m. until close, Kneaders offers one free kids meal for every adult meal purchase. Kobe Japanese Steakhouse: On Tuesday, kids can eat free; however, you need to be a rewards member to qualify. It’s free to join! K&W Cafeteria: For every adult entree, K&W Cafeteria will comp TWO kids meals on Tuesdays only. Lone Star Steakhouse: Kids eat free every Tuesday as long as an adult entree is purchased. Max & Erma’s: Children under 12 years old can eat free on Tuesday as long as an adult entree is purchased. Marie Callender’s: One free kids meal for every adult entree on Tuesdays only. Miller’s Ale House: One kids meal comped per adult entree purchased. Moe’s Southwest Grill: Kids 12 and under can eat for free for every adult entree purchased. Select menu items to choose from, however. NORMS: Buy one adult entree, get a kids meal for FREE. Perkins: For every adult entree purchased, you can receive one kid’s meal at no charge. Pizza Inn: It appeared most Pizza Inn locations offered a free meal on Tuesday, but this couldn’t be confirmed at all locations. Pizza Street: Kids can get a free pizza on Tuesday for every regular sized purchased. However, this is at participating locations only, so be sure to call your local location to confirm this deal. Pluckers: Kids under 10 can eat free all day. Up to two free meals for every adult purchase. Pollo Tropical: Kids can eat free every Tuesday at participating locations. Ponderosa: Every Tuesday, kids can eat from 4 p.m. until close. Every adult entree equals two free kids meals. Red Brick Pizza: One free kid’s meal for every adult entree on Tuesday. Ruby’s Diner: From 4 p.m. until close, children younger than 12 can eat for free. Valid at participating locations. Ruby Tuesday: From 5 p.m. until close, kids under 12 can eat for free at Ruby Tuesday! Texas Roadhouse: The Texas Roadhouse offers free kids meals, either on Tuesdays or Wednesdays depending on your geographical region, so it’s best to check ahead of time to confirm. Valid for children younger than 12 years old. TGI Friday’s: Although not 100% confirmed, SOME locations offer free kids meals on Monday and Tuesdays. Please check with your location before arriving. UNO Chicago Grill: Get one free kid meal with the purchase of an adult entree. Village Inn: Kids 10 and under can eat free with the purchase of an adult meal. Bertucci’s: Kids eat free every Wednesday, according to the company’s official “Daily Craves” page. One free meal for every adult entree purchase of $10.99 or more. Duffy’s Sports Grill: Kids eat free ALL DAY on Wednesday. East Coast Wings: Every Wednesday from 3:30 p.m. until close, kids can eat free with the purchase of an adult entree. El Torito: One free kid meal for every adult entree purchase. Friendly’s: Purchase an adult meal and your kid eats for free on Wednesday! Gatti’s Pizza: For every adult buffet purchase on Wednesday, a child younger than 10 years old can eat for free. Logan’s Roadhouse: Buy an adult entree and receive a free kids meal on Wednesday. Luby’s: After 4 p.m. on Wednesday, kids can eat free with an adult meal purchase. New York Pizza Dept: Kids under 10 can eat for free after 4 p.m. with every adult entree purchase. Skyline Chili: At participating Skyline Chili locations, children can eat free from 5 p.m. until 9 p.m. on Wednesday nights. Not valid with any offers and VIK cards cannot be punched when a complimentary kids meal is added to the bill. Qdoba Mexican Grill: At Qdoba, kids eat free on Wednesday AND Sunday as long as an adult purchases a qualifying entree. Captain D’s: Buy an adult meal and get up to two kids meals for nothing. Hy-Vee Market Grill: The Hy-Vee Market Grill often offers free kids meals on Thursday with the purchase of an adult meal. Mellow Mushroom: Purchase a large specialty pizza, and Mellow Mushroom will throw in TWO kids meals at no charge. Salsarita’s Fresh Cantina: Kids can dine for free all day on Thursday with a paying adult. Shoney’s: Children younger than four years old can get a free meal for every paying adult. Sadly, no restaurants I found had a kids eat free promotion on Friday. 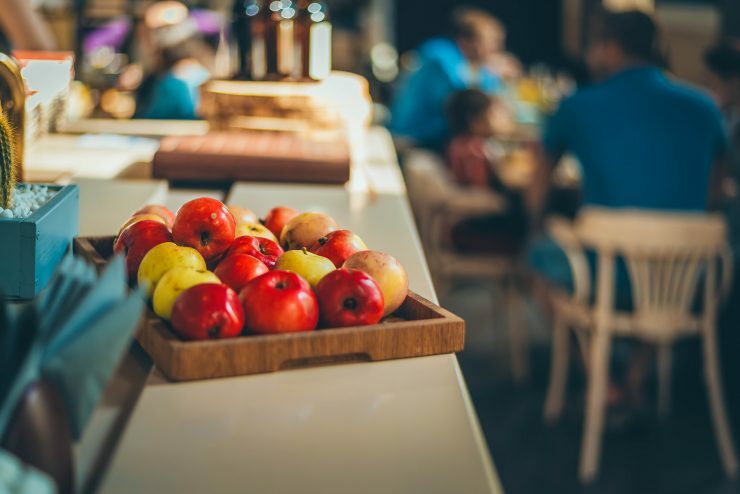 However, it doesn’t mean you cannot get a deal on this day as many restaurants, which we note below in our “Kids Eat Free Any Day” subheading, allow your child to eat for free any day of the week. Maggiano’s Little Italy: Kids younger than five can eat for free all day on Saturdays. Shari’s Cafe and Pies: Every Saturday from 4 p.m. until 9 p.m. kids can enjoy their meal for free. Steak ‘n Shake: For every $9 you spend, Steak ‘n Shake will throw in a FREE kids meal. For children 12 and under and does not include drinks or shake. Best of all, this offer is available on Sunday as well. Arriba Mexican Grill: For every adult meal purchased on Sunday, kids can eat free. Baja Fresh: For every adult meal on Sunday, kids can eat free all day. Barberitos Southwestern Grill and Cantina: Kids eat free every Sunday with a paying adult. Blue Mesa Grill: Kids under five can eat for free on Sunday from 9 a.m. until 3 p.m. This can vary by location, though. Dickey’s BBQ Pit: Children 12 and under can eat for free all day Sunday. One free meal per adult entree purchased. Dine-in only. Freebirds World Burrito: Free kids meal for every adult entree purchased. Mama Fu’s: According to the restaurant’s website, kids eat free every Sunday when you purchase at least one entree. Margarita’s Mexican Restaurant: Want more than just the free chips? Well, on Sundays, you can get two free kids meals for every adult meal purchased. Melting Pot: Purchase an adult four-course meal and the Melting Pot will throw in a free kids meal. Pasta House: According to the restaurant’s official menu, kids can eat free on Sundays. 12 and under only. Slim Chicken’s: All kids younger than 10 can take advantage of a free meal on Sunday. Souper! Salad! : Kids younger than four eat 100% free on Sunday. Steak ‘n Shake: For every $9 you spend, Steak ‘n Shake will throw in a FREE kids meal. For children 12 and under and does not include drinks or shake. This offer is available on Saturday as well. 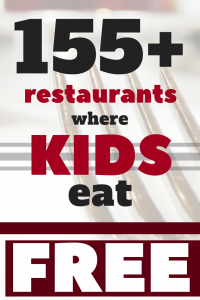 Tony Roma’s: Kids younger than 12 can eat for free for every adult entree purchased. Tropical Smoothie Cafe: Your results will vary, but it appears kids can eat free on Sundays at the Tropical Smoothie Cafe. Brusters: As long as your lil’ one is shorter than 40 inches, they will provide them with a baby cone ANY day of the week. Cafe Rio: Whenever you dine in, Cafe Rio will always throw in a free kids quesadilla. Carrow’s: Monday through Friday, kids under 10 eat free after 4 p.m. with each paying adult. Cici’s: This one greatly varies as each location does not participate, so if you plan on taking advantage, please call ahead of time. If the location does participate, then every child under three can eat one free meal for every adult meal purchased. 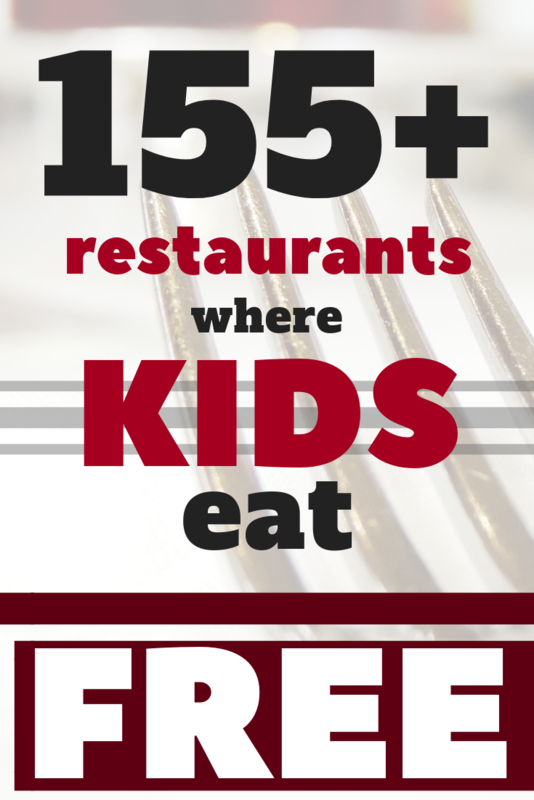 Cinzetti’s: Every day, children under three eat free with the purchase of an adult meal. Culver’s: Not a kids meal, per se, but I wanted to include it, because, every day, children younger than 12 will receive a free custard cone with their meal. Double Dave’s: Whenever you purchase an adult buffet, Double Dave will always throw in a kids buffet for free. Firehouse Subs: Since each location is franchised owned, it’s up to the owner to choose a day if they even have one. From my research, however, most locations did offer a free night, but it greatly varied. Call or visit your local chain’s social media page to see if you can figure out which day it is. Fricker’s: Kids eat free every day, according to the company’s specials page. Holiday Inn: Available at Holiday Inn®, Holiday Inn Select®, and Holiday Inn SunSpree® Resort Hotels, kids under 12 eat free when ordering inside a hotel restaurant and at least one adult entree is purchased. And NO, you do not need to be a hotel guest in order to take advantage of this freebie offer. IHOP: From 4 p.m. until 10 p.m., kids can eat free daily. This offer is valid for dine-in purchases only and cannot be combined with other offers. Jason’s Deli: Kids can eat free at Jason’s Deli, but you need to register for the restaurant’s kid cash program. Johnny Rockets: Greatly depends on the location and the current location, but I saw multiple locations offering kids eat free promotions. Check with your local Johnny Rockets to confirm. Macaroni Grill: Not a free meal, but the Macaroni Grill will always throw in a free ice cream cone with any meal. Maple Tavern: Every day of the week, the Maple Tavern will throw in a complimentary kids meal with every adult entree purchase. Moe’s Original BBQ: Kids under 10 always eat free at Moe’s! O’Charleys: “All day, every day,” as the restaurant says, kids ALWAYS eat free with the purchase of an adult entree. Beverage not included and is valid at participating locations only. On the Border: For a limited time, but when I researched, it seems to be ongoing, the On the Border Mexican food chain will throw in a free kids meal for every adult entree purchased. Dine-in only and not valid with any other offer. Pizza Ranch: Many locations, according to the restaurant’s official website, offer a free kid buffet with the purchase of an adult buffet. To attend a kid eat free day near you, refer to this page. Quaker Steak and Lube: Your results will vary as each location will have its own day dedicated to kids eating free, so if you plan on taking advantage, do call ahead to confirm. From what I read, most restaurant locations will ask that you purchase an adult entree to qualify and kids under 10 years old will qualify for the deal! Smashburger: Varies by location, but from what I research, the most popular day is usually Tuesday, but AGAIN, this varies. Call ahead if you plan on taking advantage. Sweet Tomatoes: Kids UNDER 3 eat for free every day at Sweet Tomatoes. Quiznos: Kids eat free at Quiznos almost all the time, BUT you often need to bring in a coupon, so be sure to search for one before heading in. Also, since each location is independently owned, you need to make sure your local Quiznos will honor your coupon. bd’s Mongolian BBQ: Kids 12 and under can eat for $2 with each paying adult. Buffalo Wild Wings: Every Wednesday, kids can eat for $1.99 with every adult entree purchased. Chevy’s Fresh Mex: Almost free, but kids can eat for a $1 every Wednesday. Also, keep yours opened for promotions as the restaurant chain will commonly have freebie nights. Chili’s: Join the My Chili’s Rewards and you can often find a free kids meal coupon in your account. Fazoli’s: On Tuesdays, kids can eat for $0.99 each from 5 p.m. until 9 p.m.
Fuddrucker’s: Every Monday and Tuesday, between the hours of 4 and 9 p.m., kids can eat for $0.99. Golden Corral: ALMOST free, but every night, kids can eat for $0.99 with each adult buffet purchase. A great value, so I had to include it. Children under three, however, ALWAYS eat free. Piccadilly: ALMOST FREE, but kids under 12 can eat for $1.99 all day on Thursday with the purchase of an adult meal. Rainforest Cafe: ALMOST free, but on Wednesday, kids can dine for $2.99 each. Ryan’s: ALMOST FREE, but kids younger than 11 years old can go to the buffet for $0.99 each on Thursday. Spaghetti Warehouse: Kids younger than 10 can receive their meal for $1.99 for every adult entree purchase. Sweet Tomatoes: Most of the time, kids can eat for free at Sweet Tomatoes on Tuesday night, BUT this will depend on the current promotion. Talk to your local location to confirm. Wendy’s: ALMOST FREE, but an amazing deal if you can take advantage. After 4 p.m., kids eat for $0.99. At participating locations, however. WhichWhich: On Mondays and Saturdays, kids under 12 can eat for $0.99 for every seven-inch Wich purchased. Zaxby’s: A hit or miss, but it appeared many locations offered a kid’s freebie Tuesday nights. Applebee’s: This greatly depends on your local Applebee’s, but there’s often a day of the week when kids, usually under 12, can eat free with a qualifying purchase or for $0.99. If interested, do contact your local Applebee’s before visiting. Bennigan’s: Offers promotions quite often, but it is not guaranteed! Do call ahead of time to confirm. BJ’s Restaurant and Brewhouse: I saw some locations offering free kids meals on random nights, while other locations offered $1 meals. Very random, so it’s best to call your location for more information. Carrabba’s: Check this link throughout the year and sign up for their e-mail club as they do hold kid-friendly promotions. For example, in August, kids could eat free for the entire month with the purchase of an adult entree. Chick-fil-A: Some locations will offer free kids meal nights, but this will greatly depend on the location. From what I noticed, it appeared that Tuesday and Wednesday was the most popular night. I recommend you follow your local Chick-fil-A location’s Facebook page to keep in on the loop. Chipotle: Occasionally, Chipotle will offer promotions, including free kids meals. In the past, for example, the chain offered free kids meals on Sundays. Be sure to follow the company via social media to be in the loop. Dairy Queen: Being franchised owned, all locations are different, but a quick search online did show that many locations did offer free kids meal nights. Check with your local DQ for more information. Godfather’s Pizza: Randomized freebie nights, but not guaranteed. Please call ahead to confirm. Hooters: Locations will vary, but I found a lot of Hooters offered free kids meals all day on Tuesday. Call your local Hooters to confirm. IKEA: Not always offered, but kids eat free after 11 a.m. with a purchase of one adult entree priced greater than $3.99. Check the location’s circular to confirm this deal. Jersey Mike’s: Very random and would depend on the location. I saw some locations offering free kids meals all day on Sunday, while others had free meals on Fridays. Talk with a local location to see if they offer such a promotion. McAlister’s Deli: It appears kids can eat free every Tuesday from 5 p.m. until 9 p.m. with an adult entree purchase. However, this promotion can change and is via participating locations only. Not 100% confirmed. Mimi’s Cafe: A select few Mimi’s Cafe locations appeared to have free kids meals on Monday through Wednesday. Newk’s Eatery: Seemed to have promotions throughout the year, with the restaurant chain offering free kids meal weekend and random kid nights held throughout the week. Refer to the company’s official website or social media pages for more information. 99 Restaurants: Random deals, but they do sometimes have a kids eat free promotion. For example, in the past, they had a free meal when the Red Sox won or if the kids were home from a snow day. Noodles & Company: This restaurant chain often has kids meal deals throughout the year. I recommend you follow this offer page and follow their social media/email list for more details. Olive Garden: Depending on the promotion, I have seen kids eat for $1 or even kids eat free with a coupon. Refer to the company’s kids menu page or check out the company’s social media accounts to see if any current deals are available. Outback Steakhouse: VERY RARE, but there are times when the company will release kids eat free coupons. 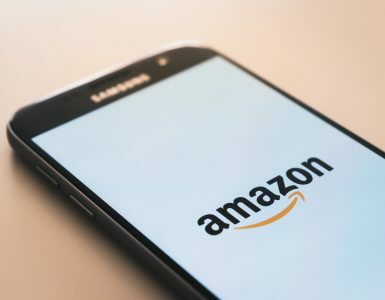 You will just have to search for them or even check out the company’s social media page. Pei Wei: Sometimes holds a family night or a temporary promotion offering free kids meals on a certain night. Follow their social media and e-mail for updates. Pizza Hut: Your results will vary on this one, but many Pizza Hut locations, generally the dine-in locations, offer a free meal from 4 p.m. to 9 p.m. If your local Pizza Hut doesn’t have an offer, keep in mind that they consistently add temporary promotions you could potentially take advantage of. Popeye’s: From my research, some locations had kids eat free nights, most commonly on Monday or Tuesday. The selection seemed to be slim, however. Red Lobster: VERY RARE, but there are times when the company will release kids eat free coupons. You will just have to search for them or even check out the company’s social media page. Scholtsky’s Deli: Scholtsky’s will often have a promotion where kids can eat free on a certain day of the week, usually Sunday; however, this can vary. Check in the company’s official website or social media for more information. Sonic: Like most fast food restaurants, the promotions vary from week to week, but I have found free kids meals and $1.99 wacky packs by following the company’s deals page. Sonny’s BBQ: Depending on the location, I saw some offer free kids meals on Saturday, while others were on Tuesday. It appeared to be greatly dependent upon the location you choose. Zoes Kitchen: Sometimes offers free kids meal deals, but you will have to be on the lookout for them. Follow them on social media to keep in the loop. From all of my research, these major chains do not offer any type of freebie promotion. If you want to prove me wrong, please do so in the comments below since I would love to add them to the list! Thank you. Your results are going GREATLY vary on this list. One location may give away a free meal, while another one may not. So before you get angry with me, please understand that one IHOP could give away kids meals on Tuesday while another person won’t have such luck in another state. Again, I cannot say it enough, PLEASE confirm before you head to the restaurant before sitting down, ordering and finding out the meal wasn’t free. While I want to keep this list as accurate as possible, it’s almost next to impossible to keep it up to date due to all of the geographical restrictions, so it’s best to use this guide as a stepping stone for a free kids meal. If you see a restaurant you enjoy and it’s that day of the week, call them up and confirm. If they offer a free meal, enjoy a meal on the house and save a few bucks — you deserve it!